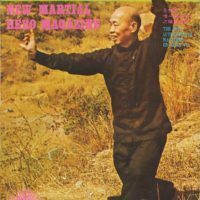 My Sifu told me that the “oldtimers” always squeezed the fists hard when training the sets for strength, slowly, each movement one by one. 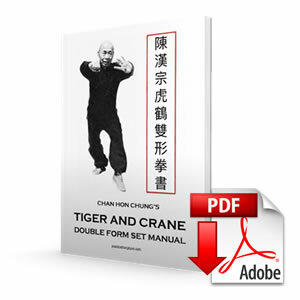 Think Jai Kiu, “Controlling Bridge” in “Taming the Tiger” or “Iron Thread”. Old time Masters also used many other devices to train the grip – jars, bundle of chopsticks, stone locks, head long poles – grip strength was obviously very important to them. To train the grip is a very demanding endeavor not only for your hands and fingers, but your CNS as well, so it is advise to have a long rest between the “sets”. Best would to train the trip throughout the day – but it is not very practical to carry a jar, a brick, not to mention a stone lock or a heavy long pole…. Grand Master Lam Sai Wing had a secret weapon against the (hand) weakness in his sleeve – literally. Squeezing steel bracelets is one of Lam Sai Wing’s favorite training methods… In the past people wore clothes with very long sleeves. It is said that when Lam Sai Wing walked on the streets he often took the bracelets off, held one in each hand, and squeezed it as strengthening exercise. After practicing with bracelet for a while and mastering its weight, one could make a bigger steel and stronger bracelet. Left: Steel bracelet. Middle: Drawing from the Hung Kuen Training. Right: Heavy duty gripper. Buy a heavy duty gripper, like those produced by Iron Mind. Buy gripper that you can squeeze cca. 6 times with your strong hand (not the stronger one), carry it with you, and practice your grip in sets of 3 (.e. half of the reps you are capable of! ), with cca. 15 minutes of rest in between “sets”. Some day you will do more sets, some less. Train 3 days i a row and than take 1 day rest. Once a month measure your max – if you can squeeze the gripper 10 times or more, buy a heavier one. 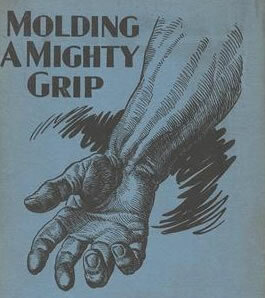 Does it strengthen your grip only? Oh no. “Ab work and grip work. It’s ridiculous how easy it is to increase your strength in anything by doing these two things”, says my strength master Pavel Tsatsouline (StrongFirst Chairman) from the perspective of the modern science and practical experience of many top level athletes. The old Chinese masters knew. 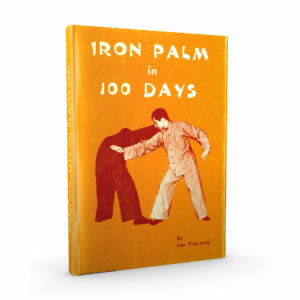 If you are interested in traditional conditioning methods, check out a classical manual Iron Palm in 100 Days. 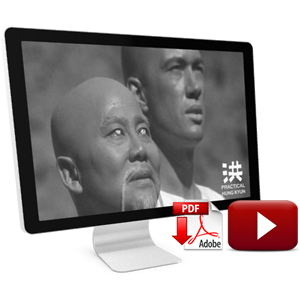 Rare Photo of Grand Master Lam Sai Wing Has Just Been Discovered! This entry was posted in Hung Kyun Curriculum, Hung Kyun Masters, Hung Kyun Research and tagged Lam Sai Wing, Lin Gung, Strength Training on February 17, 2016 by Pavel Macek.